Can the Chiefs win the Super Bowl without Eric Berry? 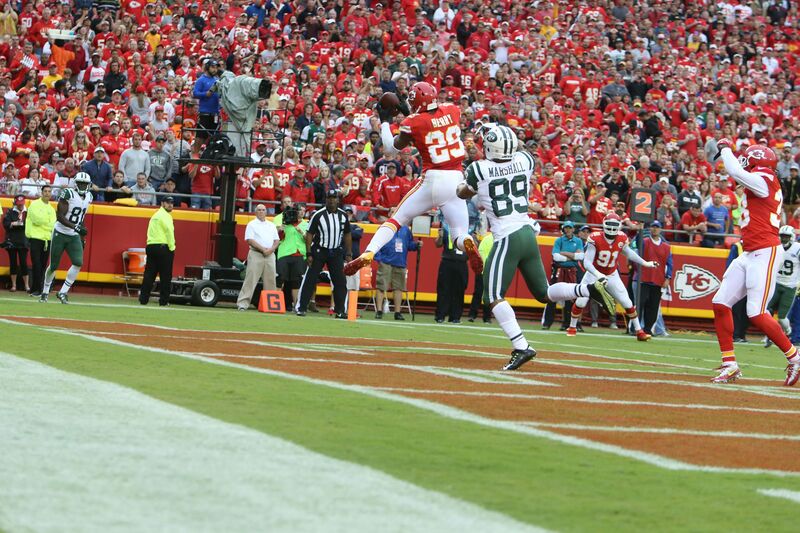 Coming off a big win dampened by major injury news, can the Kansas City Chiefs win the Super Bowl without Eric Berry? After trailing the New England Patriots 17-14 at halftime Thursday night, the Kansas City Chiefs showed some level of dominance on their way to a 42-27 victory. Quarterback Alex Smith showed he can be more than game manager, with 368 yards and four touchdowns highlighted by two 70-plus yard scores. But safety Eric Berry was carted of the field in the fourth quarter with what was immediately thought to be a torn left Achilles. That was confirmed on Friday morning, and Berry is obviously done for the season. Anyone who takes the place of the five-time Pro Bowler, three-time First Team All-Pro and 2015 Comeback Player of the Year at strong safety is a downgrade, but Daniel Sorensen and Eric Murray will get the first crack at it. Coming off a huge win over the reigning Super Bowl champions and the NFL’s preeminent modern dynasty, is an on-field momentum builder for Kansas City even without Berry. But can the Chiefs win the Super Bowl without their best defensive player? As he goes through recovery and rehab, Berry will surely be a big presence in the Chiefs’ locker room. His own battles with adversity and comebacks from it, from a torn ACL in 2011 to a lymphoma diagnosis in 2014, will serve as lessons for his teammates. Even after leaving Thursday night’s game, Berry broke down the defensive huddle and continued to be an energetic presence. That left head coach Andy Reid to joke about Berry getting a head start on a post-playing career as a coach. Reid offered further thoughts about Berry’s importance in the post-game locker room. The Chiefs are still not at the top of any list of teams that can win the Super Bowl. But that would change if they play like they did Thursday night on a regular basis, and even without Berry their chances to win the Super Bowl in February would be as good as any other top level team.